In our minds life exists in a glass house we build for ourselves because as humans, we try to understand the world and our surroundings. That glass house is reality. Mental disorders have existed ever since mankind has been on Earth. This series of articles is going to explore the human mind’s perception on reality, how it reacts to the world around us, and how our mind interprets life’s challenges. I will look at how we as a society define insanity, how we react towards and cope with it. Who has the power to define a universal reality? What triggers mental instability? What is a normal mind? For that matter does insanity or mental illness really even exist? Can it not just be that one’s reality is carved and moulded around a personal outlook on life, therefore no two minds are alike? We all cut out the bits we don’t like and keep those that comfort us, gel with our personality, and conform to our view of morality. This series delves into the history of mental disorders, gazing back at the earliest recorded signs of mental depreciation. How society reacted towards people, friends, and their relatives who suffered from disorders. On the other hand I shall also look at the treatments from the very beginning and how our scientific understanding and medical procedures have evolved over time and into the present. I will also share my thoughts and ideas on rationality coupled with what I would define as illogical mental behaviour. Many definitions have been put forth and after time through advancements in understanding and studying methods those definitions have become obsolete. The most famous definition of insanity is “Insanity is doing the same thing over and over expecting different results” Although the quote’s origins are fragmented, it is attributed to many different people. But one of the many different definitions from the Oxford dictionary website explains “In a state of mind which prevents normal perception, behaviour, or social interaction; seriously mentally ill”. The earliest accounts of study of the mentally ill, have been recorded in ancient civilisations such as Egypt, Greece, Rome, India, China and Christian Western Europe. As I am sure you can imagine, in these premature comprehensive times towards mental disorders the cause of such states were awarded to the lack of spiritualism in the unfortunate person’s mind. Therefore the remedies were preposterous by today’s standards. Ancient Egypt, many believe to be at the time the most advanced off all nations with regards to the medical understanding of human anatomy, had trouble identifying the source of mental health problems. At the time the Egyptians were able to set broken bones, heal wounds, and triumph in surgical operations. Contrary to stereotypical beliefs, not every solution to a health issue would have permitted a shaman to be called to perform some kind of exorcism on the unfortunate individual. 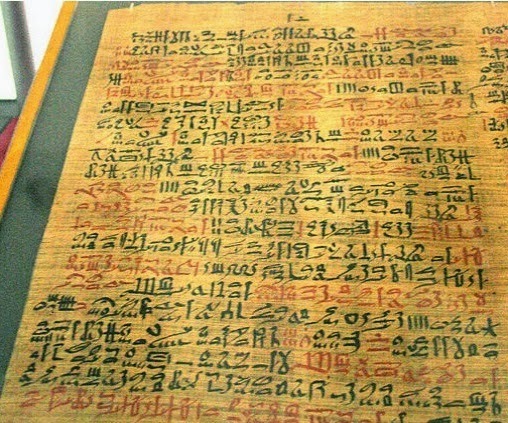 Medical studies were taking place in Ancient Egypt about abnormal behaviour, the Ebers Papyrus is one of the oldest medical papers analysing such disorders as Dementia and depression that were present among the Egyptian population at the time of 1550 BC. However the treatment for many different mental illnesses were what sound like a combination of experimental herbal medicinals mixed with magical spells and recitation of holy scripture. The belief at the time as so many other ancient civilisations, was mental illness is caused by demonic possession, or an angry deity. Ancient Greece spawned many great intellectuals, playwrights, philosophers, astronomists, scientists etc. Some of whom delved into the understanding of the human psyche. Playwrights such as Aeschylus and Sophocles of Classical Athens then Homer and Euripides of the Hellenistic Age all who are well-known tragedians; claimed that madness is caused by the Gods taking away the person’s mind. They also used characters that were “madmen” in their tragic plays. Great effort was put into understanding the mind in Ancient Greece, among the most noted for their studies is Socrates (470 BC – 399 BC) who blended a philosophical approach to mental disorders with human understanding. Socrates believed that madness was a divine gift from the God’s, nothing to be ashamed of. Therefore he did not offer any treatment but rather suggested envy of the mentally ill. Which I have to say, I personally do not believe in divine spirits but the encouragement to look at mental disorder enviously is quite curious and refreshing. The Greek physician Hippocrates ( 460 – c. 370 BC) was well ahead of his time in terms of medical applications to the human psyche. He dismissed ideas of supernatural forces being the cause for mental disorders and instead encouraged and practised treatments such as blood-letting, exercise, dietetics, and tranquillity by surrounding oneself in a quiet environment. He advocated the belief that mental illness was due to natural causes, genetics, head trauma, brain pathology and stress. Hippocrates was first to classify such illnesses as, paranoia, epilepsy, and mania. Ancient Rome approached mental disorders just as thoroughly as the Greeks, whereby a clinical understanding was adopted resulting in psychotherapy treatment. Alpha Theta Center Neurofeedback is a new approach to treating mental disorders. Galen ( AD 129 – c. 200) whose parents were Greek, was a Roman physician who supported the thesis that mental disorder is not caused by supernatural forces rather chemical imbalance in the brain caused abnormal behaviour. He evaluated the theory of the four humors (bodily fluids) phlegm representing the brain, blood as for the heart, yellow bile the liver and black bile representing the spleen. Imbalance of any of those could lead to what Galen called Dyscrasia; believed to be the cause of all diseases. An imbalance of these humors invoked temperaments that describe a personality trait therefore changing the mental state of the affected. The temperaments were categorised in four personality types.Those being sanguin, someone who is cheerful and optimistic. Melancholic, someone who is an introvert and can be affected by the tragedy of the world and have depression as a character trait. And Phlegmatic categorising someone who is calm, together, quiet and content with themselves.